Talley is a former CIA agent. He had been an agent in good standing for many years, certainly more than a decade, when a choice had to be made between following an Agency order or following his own conscience and he chose the latter. When arguing proved impractical, he chose to leave his desired line of work. As the two-book series opens, Talley has retired to a rustic lifestyle in northern New Hampshire where he lives alone in a cabin of simple but sturdy construction and furnishings which depict his personality – good quality, basic design, totally practical and dependable. He lives alone because he had, just a while before, been forced to agree to a divorce after many years of marriage. Talley's age is not mentioned but it certainly in the late 30's and probably more in the early 40's. He has remained in good physical shape, forcing himself to cut firewood to not let himself grow soft. He wears glasses and presents a studious look about him, making him seem more in a classroom than in the dark alleys of covert action. To his friend and previous supervisor, Walt Simson, that appearance had worked to Talley's advantage for while no one would doubt the intelligence Talley possessed, many might not see the prowess he had to get done whatever was needed doing. Talley is brought back into the field by Simson when an assignment came up that needed someone dependable and respected for his integrity as well as someone who could survive in the fragile but still unfriendly Warsaw Pact countries. Talley did not want the assignment but it was plain to see boredom was a factor in his agreeing to work on a contract basis – boredom and the chance to prove malfeasance by at least one of those bosses whose antics forced him to quit in the first place. In the Agency, you are in until they want you out. In Talley's case, sometimes they change their minds. A man names Hovey has proof that a Czech scientist was working for the CIA. The CIA has no record of it. Tom Talley is asked to come out of retirement to assist the investigation. It is a no-win situation as the truth is not easy to find. 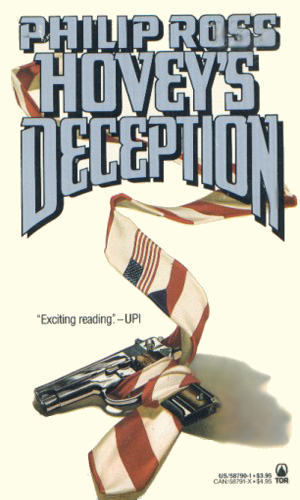 Needing Tom Talley for an assignment and knowing he wouldn't take it, the CIA chooses an easy path - they lie to him. Promised a simple little job, Talley again comes out of retirement, unsuspecting that the Czech government is lurking for a chance to grab him. Easy to read and fast action often mean low quality but not so with this two-book series. The missions are interesting and the people are fun to watch. It isn't every day that the hero needs glasses, but Talley does. It is refreshing to see a human as the hero. 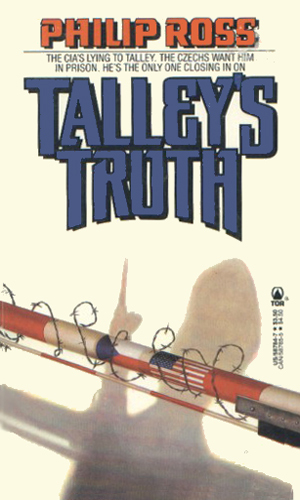 And Talley definitely comes across as human – a good man who wants to do his job because he believes in his country but is unhappy at the things he is ordered to do to accomplish it. He knows better than most that his bosses are far from perfect and are too often after their own agendas to wonder what is really best for the country. And the stories are well told, making me wish Mr. Ross had written more about this character.